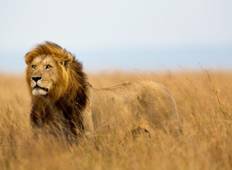 Embark on a Big Five safari in Nakuru National Park and take your personal snapshot of a lion in its natural habitat. There are 18 tours to choose from, that range in length from 4 days up to 48 days. The most popular month is July. "Our first contact with East Africa Safari Bookers was 3 months ago, we wanted to..."
"3 travelers had an amazing time on our tour with Bamba and our guide Sammy! 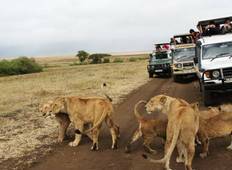 Highlight..."
"We thoroughly enjoyed our visit to Kenya and the safari was fantastic. We were very..."